Corporate giving is no longer something you should do, it’s something you must do. Having evolved from being a “nice thing to do for the community”, corporate giving is now an important measure of social responsibility as well as a key tool for employee recruitment, engagement, and retention. With 86% of millennials saying they would consider leaving an employer if they found their CSR values to be lacking and 90% of consumers claiming they would switch brands to one associated with a good cause given comparable price and quality, the decision has already been made for you. Fortunately, with Do Some Good's easy-to-use SMILE strategy, your company can implement the five musts of successful corporate giving today! Do Some Good conveniently allows your employees and customers to select the causes that matter most to them. Knowing this information, your company can strategically align donations, sponsorships, and overall community efforts with what your employees and customers are passionate about. By doing so, you leave them feeling cared for, empowered, and happy. Happy employees are productive and happy customers are loyal. What more could you want? Collect data on things like total hours volunteered, but also on social progress (i.e. “lives touched” or “meals served”). It’s important to give the community and your employees tangible results so they can see the collective impact being made. Communicating this in terms of social impact rather than dollars raised helps create a more personal connection and sense of responsibility. One way of doing this with Do Some Good is by embedding a ticker widget right onto your company website that displays the impact your employees are making in the community in real time. Make social responsibility an integral part of your corporate culture. Lead by example, participate to whatever degree possible, and make sure your company’s commitment to social responsibility is clearly communicated. Recognizing the efforts of your employees and customers goes a long way in terms of motivation. Whether it’s a pat on the back or posting a Volunteer Spotlight on Do Some Good, this shows your employees and community members that you notice and appreciate their contributions, creating an encouraging atmosphere for continuous giving and support. It may be hard to find time to volunteer, but with Do Some Good, opportunities are literally at the tips of your fingers! Be innovative at making CSR work for you, your employees, and their families, too. Even informal volunteerism, like walking your neighbour’s dog, virtual volunteerism, offering your services via technology from the comfort of your own home, and random acts of kindness help keep communities running. Encourage your employees and customers to contribute in any way, big or small, and celebrate! Do Some Good recognizes and accounts for all forms of community contributions. Not only should you communicate your impact internally, but let the community at large know what you’ve been up to! Do Some Good makes telling your giving story easy with the ability to post stories and events, and receive testimonials from the organizations you’ve supported along the way! The more you post and @ mention organizations and companies on Do Some Good, the more branding you will receive as a Good Company! You can even get the community involved in your efforts by issuing special offers (i.e. "Purchase a loyalty card with our company and we will donate $20 to the charity of your choice"). The right offer stimulates business, enhances customer loyalty, and benefits the community all in one go. It's a win-win-win! Corporate giving need not be difficult, stressful, or even time consuming. It does, however, need to be taken seriously. Your employees, family, and friends are depending on you to help leave the community in better shape than you found it. Here at Do Some Good, we've made making the commitment to corporate social responsibility easy and rewarding. If you aren't doing this today, it's time to start. 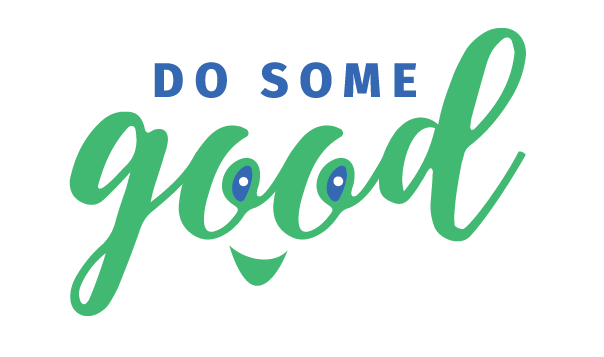 Contact us at sales@dosomegood.ca to set up a demo or visit www.goodcompany.ca for more information.